The free official app of the Echizen-Kaga area, offering beautiful photos and information about sightseeing destinations, delicious foods, and souvenirs. 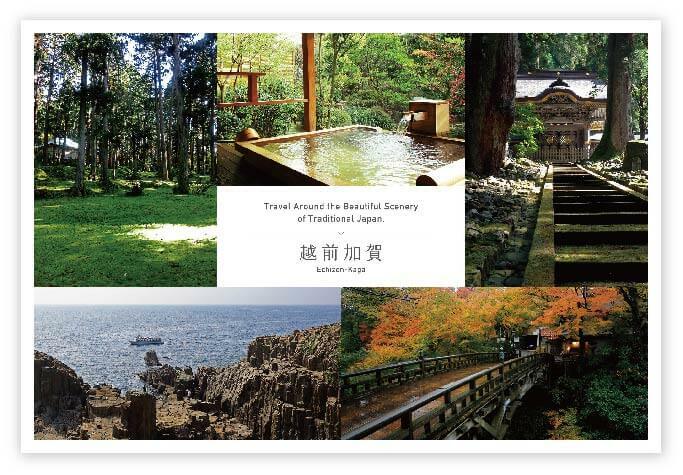 The perfect travel companion for your visit to the Echizen-Kaga area. Available in Japanese, English, Chinese (Traditional and Simplified), and Thai. 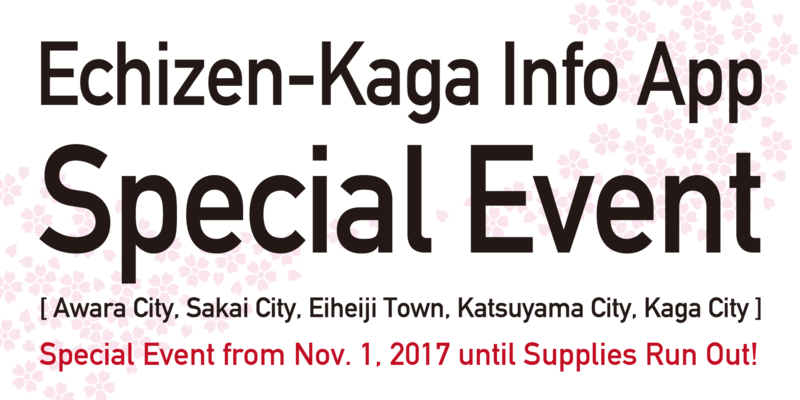 Download the Echizen-Kaga Info App and get an Echizen-Kaga postcard for free! Show the app icon to a staff member at participating facilities in the Echizen-Kaga area. Click here for participating locations. 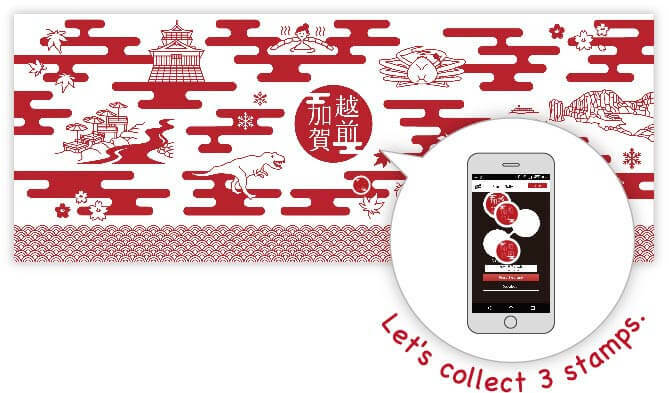 Collect three free in-app stamps to win a free Echizen-Kaga tenugui handkerchief! 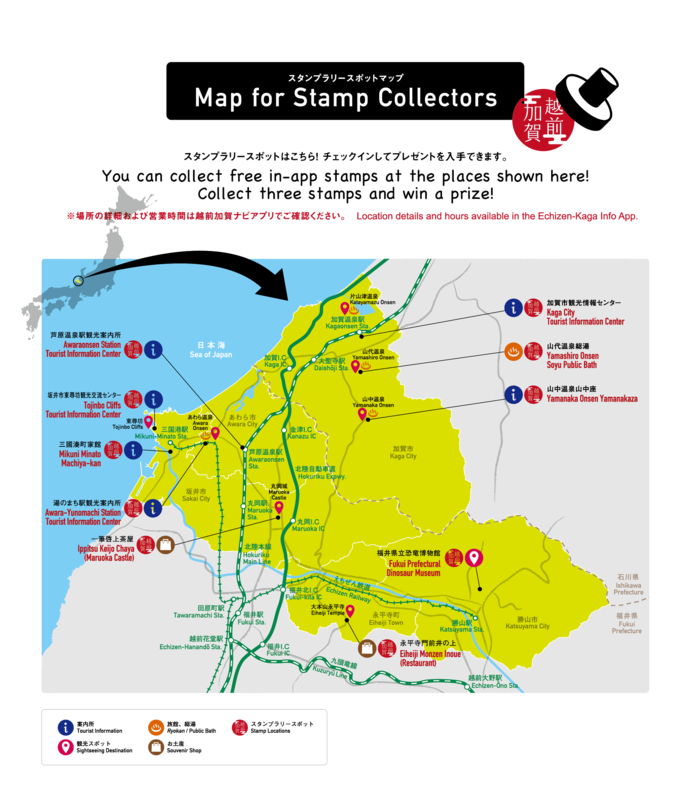 Scan the QR codes at participating locations to collect stamps!